The Personalized Treatment & Training’ is our most popular course. It involves not just mastering the physical body but also the emotional. This training will give you the knowledge to create the perfect balance in your life. It is designed for singles, couples and families who are committed to living and loving life to the fullest. We will focus on your specific needs and conditions as we help you to create a new life and a new way of thinking for the rest of your life. In just a short period of time, we will help you create the most explosive growth in your life by teaching you how to achieve optimal health, the power of positive thinking, the importance of emotional stability and how to live pain-free, while still making it fun! Mindfulness meditation for couples is a powerful tool to help you develop a loving and lasting relationship. Through mindfulness meditation you and your partner will be able to develop greater compassion–both for yourself and for your partner. Modern marriages face a lot of stress — too little time and money, too much technology and temptation. In order to keep your love alive, it is essential to have rituals to reconnect you amidst the chaos of modern living. 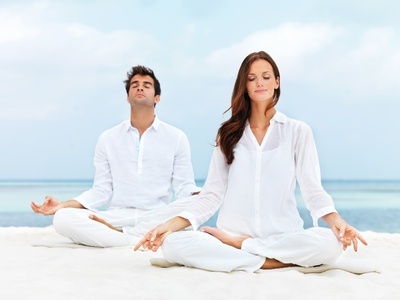 There is strong evidence that daily meditation can be one such marriage enhancing ritual. Mindfulness meditation turns down the volume on stress. One of the most widely known benefits of meditation is reduced stress. “Stress” in this case doesn’t mean that meditating will reduce the number of urgent e-mails in your inbox, but rather the reaction that your brain and your body have to what’s going on inside you and around you. What I see in myself, and in the people with whom I work, is that the response to stressors is less intense, takes less time to recover from, and doesn’t tend to linger on the sidelines. “Well, sure,” you might say, “anybody can be relaxed right after meditating.” What seems to happen, though, is that the effect of meditation on decreasing the stress response extends well beyond the meditation session itself, for more and more of the day as people develop a consistent practice. More and more people are realizing the benefits of meditation and finding spirituality in their own way. Becoming more in tune with spiritually doesn’t always mean enormous life changes, it can include just becoming more in touch with appreciation of the moment you are in and all that it offers you, or what is known as mindfulness. One of the best ways to find this appreciation is through quieting your mind using meditation. This can be done anywhere you feel comfortable by just relaxing for ten minutes a day. Although there are many different ways to meditate, the easiest is to just sit quietly with your eyes closed while focusing on your breath. The purpose of focusing on your breath allows you the ability to release the thoughts in your mind. The simplest form of meditation, such as simple breathing with eyes closed, is often the most powerful. Meditating with your intimate partner can also be an incredibly connective experience. It is a way to enhance your relationship on a whole new level. Meditation raises your level of compassion, raises your vibration bringing more positive things into your life, and allows a closer connection in the magnetic field of your heart. 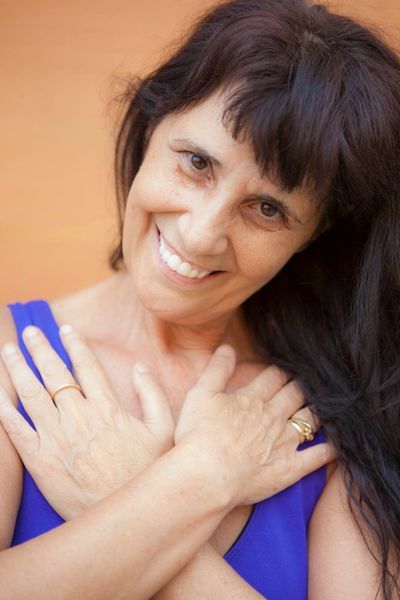 Zaki was born and raised in Italy,Has been working with people as a therapist, spiritual counselor and friend since 1987. She experience meditator and teacher of meditation. Over many years, she has used many different meditation techniques and has helped hundreds of people to get the knack of meditation. She has been on the journey of meditation with the Indian mystic, Osho, the Buddha of our times, who developed a science of transformation for the modern man.